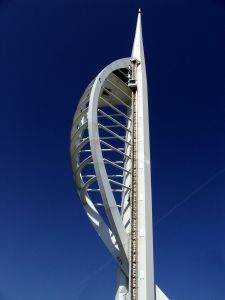 Car Hire Portsmouth UK - Where to visit? Royal Navy Museum is perhaps the most commonly known museum in this region that takes an interesting look at the past of the British Kingdom and the ships that helped her gain grips over the entire world. HMS Warrior which was built during 1860 is 418 feet long and has four decks. Hence there’s sufficient amount of climbing up and down the ladders. It has engines and sail. During its time, it was the most dominant warship. This is a wonderful castle which is more than 400 years old! The Southsea Castle was built by Henry VIII in order to protect this city. It is a place which is definitely worth visiting. It can be considered as the best family entertainment center. With separate playing areas for 0 – 2, 2 – 5 and 5 – 12 year old kids in addition to the fantastic food at Amazonian Cafe. At Monkey Bizness, you will have plenty of things to see and visit. Its major attraction are the big number of ducks as well as other wild fowl which persons from all walks of life come to feed. It is advisable that you only feed the birds grain, it’s crucial for the health of the birds and also for maintaining a healthy pond. There also a big play area along-with equipment for kids and adults. The place has lately been upgraded in order to include handy equipment like play panels, disabled swing seat and a sand table. The stadium Grill and Sports Bar provides a relaxed family atmosphere with a variety of foods which can satisfy all tastes. Bowlplex besides has Video World that has all the hottest in arcade entertainment in addition to an American Poole Pit with thirteen full-size tables!